The fact that you head to the office before sunrise and leave after sunset is well, depressing. 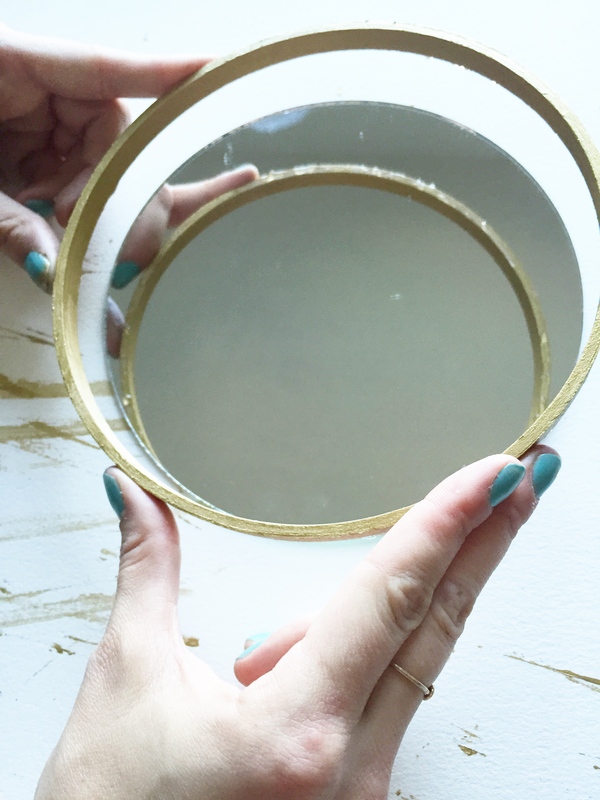 Bring the sunshine into your own home with this DIY mirror from Gild Collective. 1. 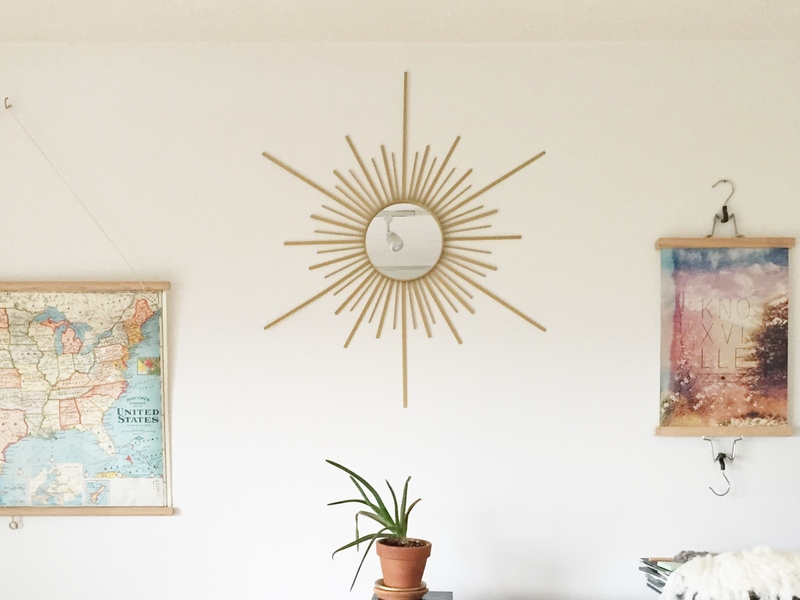 Paint your wooden hoop with the gold paint. 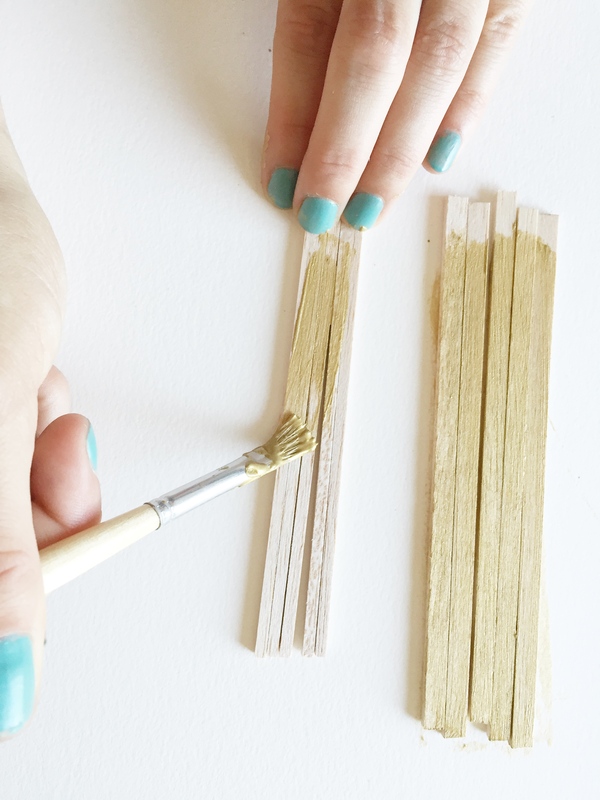 Lay your strips down, grouped by their length, and push them together. 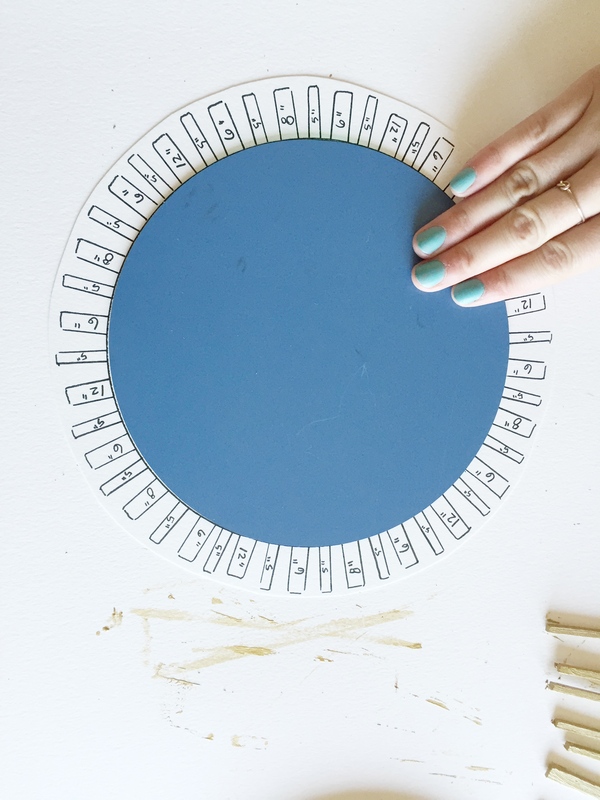 Place your finger at the base of one group, paint upwards until the entire front surface of the strips is covered (except the very bottom where your fingers are as that part won’t be seen. If you leave it unpainted, you can pick your strips up as you finish painting the top and sides). 3. Pick each strip up individually by the base and paint the sides and tip, covering each thoroughly. There is no need to paint the back of your strips. 4. 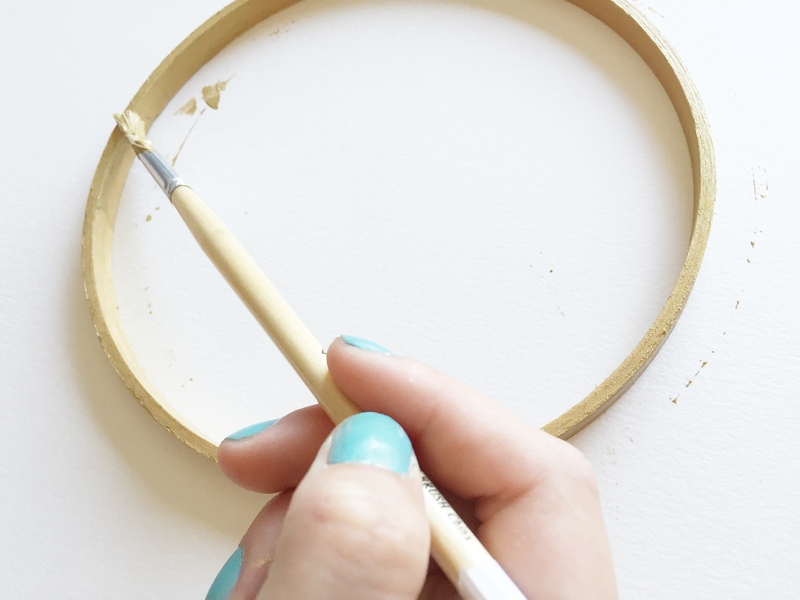 Repeat steps 1-3 for a second coat, starting with your hoop again. When you have finished your second coat and your hoop has fully dried, move on to the next step. 5. 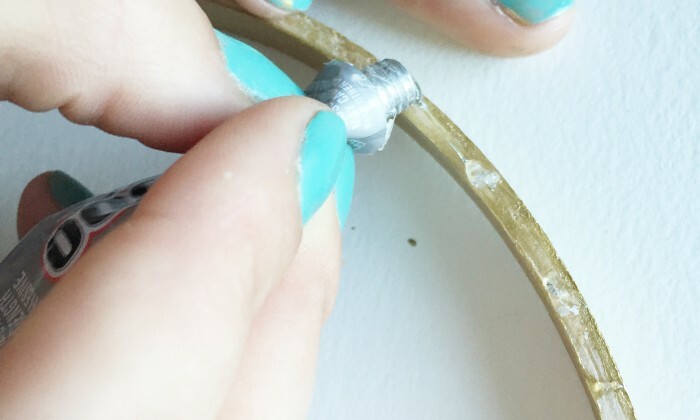 Apply the E6000 in a thin layer on the bottom side of your hoop. 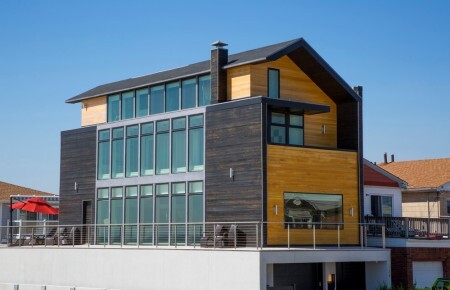 This will be the side that is not visible when the project is completed. Thin it out with your finger (it will wash off, don’t worry) so that it isn’t too thick anywhere. 6. 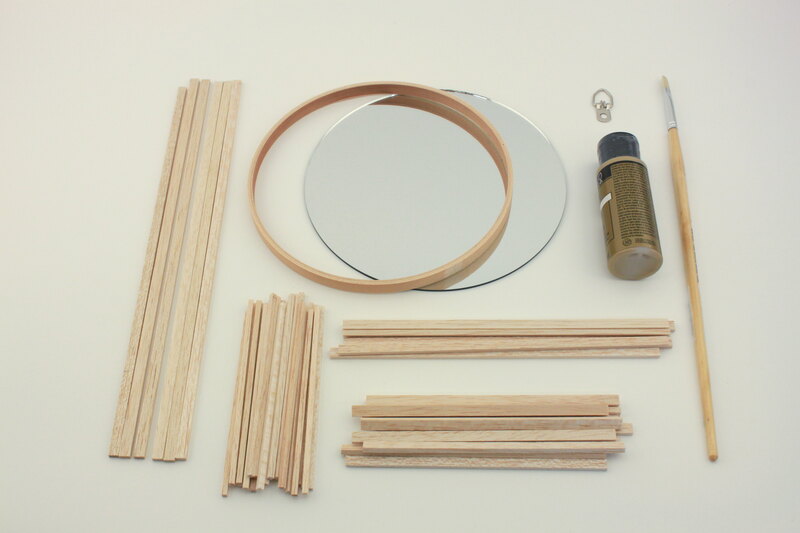 Lay the hoop directly onto the mirror and shift it around if needed until it lines up perfectly with the edges of the mirror. When you look straight onto the mirror, the hoop should appear to be framing it. If any glue spots look too thick or seep over the edge, wipe it away with your finger or a paper towel. 7. Place the mirror and hoop face down, in the center of the diagram. 8. The diagram tells you exactly where to place each strip. 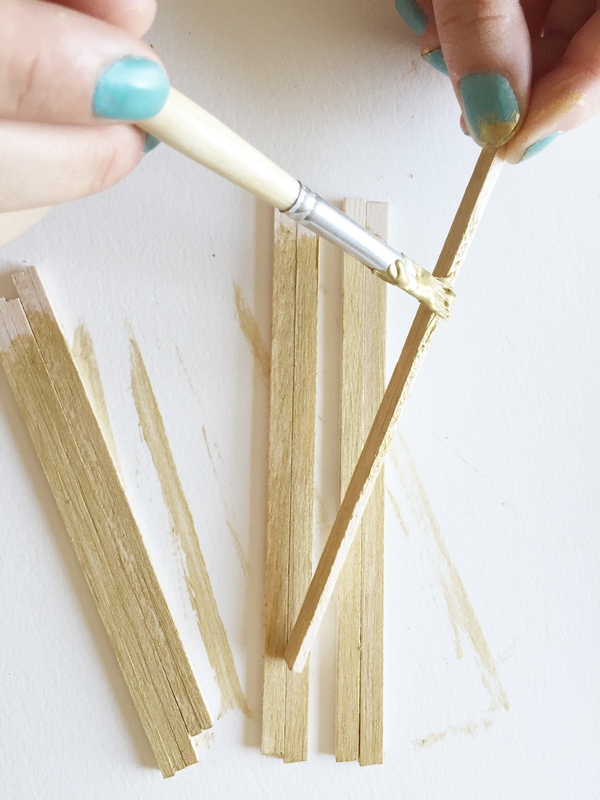 Take one of your 12″ strips and place a small dollop of glue onto the painted side of the strip, at the end that has not been painted (this is where you were holding the strip as you painted). 9. 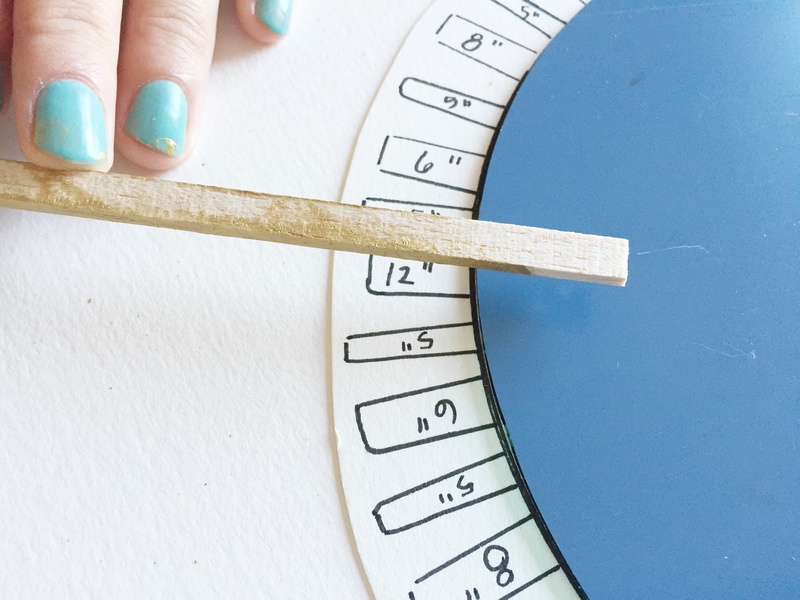 Place that strip glue-side down over one of the 12” spots on your diagram, with about 1″ of the strip overlapping the back of the mirror. Push it down with your finger and double check that it is straight over the diagram. Press the strip down firmly and hold it in place for about 15 seconds. 10. Repeat steps 7 & 8 with all 12″ strips, then all 8″ strips, then 6″, and then finish with the 5″ (thin) strips. 11. 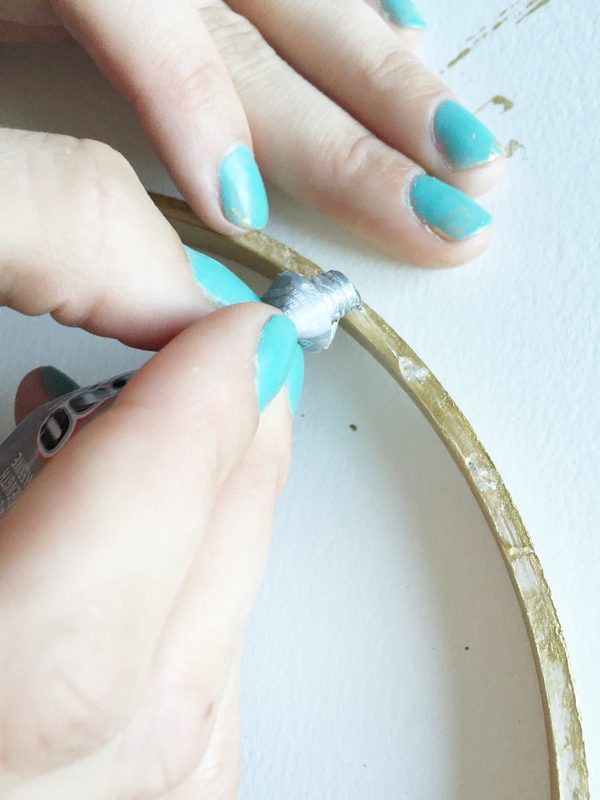 When all strips have been secured with the E6000 glue, place a dollop of glue onto the metal picture hanger and secure it directly under one of the 12′ strips. 12. Let your design dry for at least 30 minutes before moving it at all, and be very gentle with it. 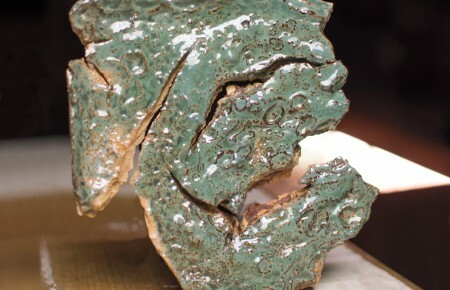 It may look like it’s made out of metal, but the wood is actually fragile.